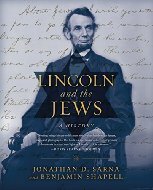 Lincoln and the Jews A History By Jonathan D. Sarna and Benjamin Shapell | What Would The Founders Think? This book is about what the title says it is. But the focus is not as narrow as that title would suggest. Even Lincoln experts are likely to learn something from this far-reaching study of Lincoln and the Jews. This reviewer has never cared much for ‘coffee table’ books, mainly because I have too many books and too few coffee tables. Lincoln and the Jews, however, has more to offer than official documents, letters, photos and a beautiful presentation. Although it has all of that. In chronicling the 16th president’s little known interactions with Jews, the authors deliver history in a broader sense. They reveal how America dealt with a Jewish population that grew, during Lincoln’s lifetime, from at most 3,000 to more than 150,000 mostly Central European immigrants. It is not a pretty story. Common to all large-scale immigrations, reaction to outsiders was often negative. Lincoln’s efforts to secure equal treatment for Jews paralleled his better-known endeavors on behalf of black Americans. He believed, for example, that Jewish soldiers should have the same access to spiritual comfort as Christians. Despite opposition from within the chaplaincy, he appointed the first Jewish chaplains to the U. S. armed forces. He also chose a number of Jews for positions within his administration. Perhaps less well known, when Lincoln became aware of Jew’s’ fear of exclusion, he modified his public rhetoric. When referring to America he exchanged “America is a Christian nation” for “this nation under God.” Lincoln played an important part in helping Jews escape from their centuries-old role as outsiders. The authors scoured privately held collections of Lincoln memorabilia and correspondence to locate his associations with Jews. Indeed, it seems they were determined to list every Jew Lincoln ever knew! Some are more noteworthy than others. 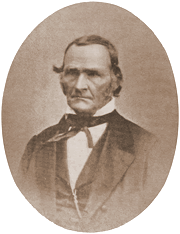 The politically astute and influential Abraham Jonas was a close friend. Reportedly, he was the first to suggest that Lincoln pursue the presidency. Lincoln’s friendship extended to the Jonas sons who had fought for the Confederacy and were incarcerated in Union prison at the time their father was on his deathbed. Lincoln obtained their paroles so they could be with him. Woven into this catalog of Lincoln and the Jews are some little known historical facts. As Commodore Levy (reviewed here) revealed, anti-Semitism was virulent within the hierarchy of the U.S. Navy at the time. Sarna and Shapell disclose the same was true of the Army. 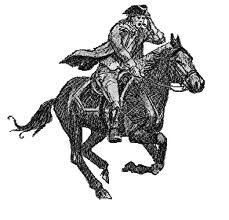 For months, Grant had been worried about speculators and smugglers in the area under his command. Since some of them his troops caught were Jews, he became persuaded that all smugglers, speculators, and traders were Jews, whether they were actually Jewish or not. Just as Southerners dubbed all Northerners ‘Yankee’ whether or not they hailed from New England, so Grant and others in the military authority characterized all smugglers and traders as Jews. On November 9, as he prepared for the battle at Vicksburg, Grant issued another order. ”Refuse all permits to come south of Jackson for the present.” He said, “The Israelites especially should be kept out.” The next day he strengthened the order: “No Jews are to be permitted to travel on the railroad southward from any point… They are such an intolerable nuisance that the Department must be purged for (sic) them.” But he had not gone so far as to expel Jews from his Department. However, all that changed on December 17 when Grant received a visit from his 68-year-old father, Jesse R. Grant. Members of the Mack family of Cincinnati, prominent Jewish clothing manufacturers, accompanied Grant senior. The Macks had formed a secret partnership with the elder Grant. In return for 25% of their profits, he agreed to accompany them to his son’s Mississippi headquarters, act is their agent to ’procure a permit for them to purchase cotton,’ and help them secure the means to transport that cotton to New York. General Grant was furious at his father’s crass attempt to profit from his son’s military status. He refused to provide the permit, sent the Macks packing and immediately issued the order expelling “Jews as a class” from his territory. Fortunately for the thousands of Jews who lived under his command, news of the order spread slowly, sparing many Jews who might otherwise have been banished. Grant was distracted when his forces at Holly Springs were raided by 3500 Confederate troops. Simultaneously, to the north, Gen. Nathan Bedford Forrest’s troops inflicted significant damage on Grant’s army and tore up 50 miles of railroad and telegraph lines. However, when Grant’s order did reach Paducah, Kentucky, a whole community of Jews was expelled. They were ordered, “to leave the city of Paducah, Kentucky within 24 hours after receiving this order.” Cesar Kaskel and several other local Jews sent a frantic telegram to Lincoln, but because of the downed telegraph lines, it is unlikely he received it. Kaskel lost no time in leaving for Washington where he enlisted the help of Cincinnati’s outgoing Republican Congressman, John Addison Gurley, who had ready access to the White House. Together they went to see Lincoln. Upon hearing of the order Lincoln instantly instructed the general in chief of the Army, Henry Halleck, to countermand Grant’s orders. On January 6, 1863, the countermands were hastily issued by Grant’s headquarters. Generals Butler, Sherman and McClellan shared Grant’s opinion of Jews. The authors provide an array of correspondence from these worthies expressing those views. Such anti-Semitism not withstanding, Lincoln’s measures on behalf of Jews were significant. By revoking Gen. orders Number 11, ensuring that the chaplaincy was opened up to Jews, and appointing numerous Jews to public and military positions of trust, Lincoln dramatically improved the status of Jews in the United States. Lincoln interacted with many Jews. At least one of them, Issachar Zacharie, was very different from the politicians and businessmen with whom Lincoln usually associated. Zacharie was Lincoln’s chiropodist, and whether charlatan or patriot, he was also, for a while, his confidant. That story is told in full in this book for the first time and it is intriguing. Lincoln counted many Jews as close political allies and Zackarie was among them. He worked hard to win over Jews to campaign for Lincoln’s reelection in 1864, a reelection that, with the war going badly, was uncertain. Anticipating a close election, he [Lincoln] knew that every vote would count. That probably explains why, on October 23, he met “with certain gentlemen of the Jewish faith, to discuss the Jewish vote”––possibly the first time that any president had ever formally discussed that subject in the Executive Mansion. This book is about what the title says it is. But the focus is not as narrow as that title would suggest. Even Lincoln experts are likely to learn something from this far-reaching study of Lincoln and the Jews. Besides it will look great on your coffee table, if you have one to spare. When last in NYC, I was able to attend the NYC Historical Society exhibit based on this book. Great piece of history about Lincoln that is not well known. Thanks, Jim. I knew there was an exhibit but it’s nice to know that it does the book justice. So you are condoning the fact that Lincoln was a puppet to the Zionist Jews so much that he murdered over 620,000 of our own men (and was killed himself) just for his backdoor dealings with the Jews? Are you aware that the Tariffs he imposed on the South were the main reason for the war? Those Tariffs were placed on the South at the command of the Jews! And you make it out like people should be proud to have such crap on their coffee tables? Unbelievable!! who validates any of your allegations regarding Lincoln, Tariffs, Zionists etc. Historians Paul Collier and Anke Hoeffer found that a few common factors increase the likelihood of secession in a region: lower wages, an economy based on raw materials and external exploitation. Although popular movies emphasize slavery as a cause of the Civil War, the war best fits a psycho-historical model of the South rebelling against Northern exploitation. How about some words from Pastor Chuck Baldwin, one of the leaders of the liberty movement? Here’s what he has to say about the tariffs that sparked the war. “Speaking of the 13th Amendment, did you know that Lincoln authored his own 13th Amendment? It is the only amendment to the Constitution ever proposed by a sitting U.S. President. Here is Lincoln’s proposed amendment: “No amendment shall be made to the Constitution which will authorize or give Congress the power to abolish or interfere within any state with the domestic institutions thereof, including that a person’s held to labor or service by laws of said State. You read it right. Lincoln proposed an amendment to the U.S. Constitution PRESERVING the institution of slavery. This proposed amendment was written in March of 1861, a month BEFORE the shots were fired at Fort Sumter, South Carolina. Think, folks: why would the southern states secede from the Union over slavery when President Abraham Lincoln had offered an amendment to the Constitution guaranteeing the PRESERVATION of slavery? That makes no sense. If the issue was predominantly slavery, all the South needed to do was to go along with Lincoln, and his proposed 13th Amendment would have permanently preserved slavery among the southern (and northern) states. Does that sound like a body of people who were willing to lose hundreds of thousands of men on the battlefield over saving slavery? What nonsense! Here is where it ties into the Zionists, like Warburg and Rockefeller, and other central bankers. Judy, I should have been more specific in my reply. I was referring to your unsubstantiated allegations regarding Jews/Zionists. None of the references you provide support your claims. As for tariffs, Lincoln and slavery, please read the reviews of these books (or better still read the books) on WWTFT for a more complete understanding. “Founder’s Son,” “Lincoln’s Gamble,” and “The Last Full Measure” to mention a few. In the latter review, a paragraph addresses Lincoln, slavery and the causes of the Civil War. As for my claims about Lincoln being a puppet to the Zionists/Jews, they are anything but “unsubstantiated.” Let’s look at the facts. The central bankers/Zionists (like Rothschild’s, etc.) told Lincoln that he had to place a high interest tariff onto the South (24-36% interest on all monies loaned). He refused and that is why he printed the ‘Greenbacks’. ” If that mischievous financial policy, which had its origin in the North American Republic, should become indurated down to a fixture, then that government will furnish its own money without cost. It will pay off debts and be without a debt. It will have all the money necessary to carry on its commerce. In 1864, Lincoln wins the election over Rothschild agent, August Belmont…Lincoln is shot the following year. Lincoln did try to do certain acts to try and stop the bankers; however, he also made many deals with them that were dangerous…hence, why they had Booth (a Rothschild agent) shoot him. The point is that the U.S. is clearly under the stronghold of the Zionist bankers and we should all be fighting against their tyranny not enticing others to buy “coffee table books” that idolize them! I love most of the work you publish but on this particular one, it is dangerous to encourage Americans to support the international banking cartel that wants to see the destruction of our sovereignty, as a nation. Also, Lincoln advocated for a National Bank and we should all know what that spells = tyranny. Sorry Judy, your references repeat old canards beloved of anti-Semite conspiratorialists. Nor do I consider an actor and musician, however, good they may be at their respective crafts, credible historians. I believe this discussion has gone as far as it needs to go.